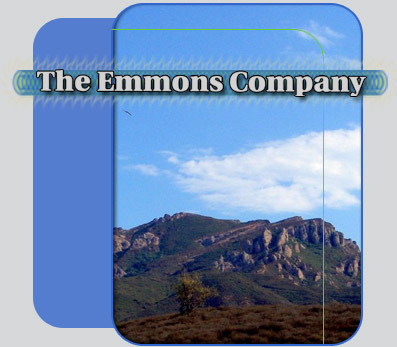 The Emmons Company is celebrating 25 years of serving Ventura and Los Angeles Counties. All services are delivered locally from our Thousand Oaks office. If you are a client requiring assistance, please feel free to send us an electronic request via this web site or call our office. We are privileged to serve you! The Company was founded based on the belief that assembling a team of qualified people delivering high quality services to local common interest developments is a successful strategy to the Company, and its clients. Over a decade later, The Emmons Company has grown by word-of-mouth and now serves our 50 homeowner associations with over 13,000 members as well as several business parks and commercial shopping centers. The cornerstone of our management program is the assignment of an experienced Association Manager to oversee the daily business affairs of each common interest development. The Association Manager guides volunteer Board Members to establish realistic budgets with adequate reserves, ensures timely collection of delinquent accounts, utilizes effective bidding procedures, oversees routine maintenance of the common areas and assists in rules enforcement. The Association Manager is assisted by a full charge bookkeeper and a customer service representative who are both familiar with the daily operations and players within the community. Our excellent accounting department, staffed with full charge bookkeepers, utilizes state-of-the-art computer equipment and software. This enables us to track monthly expenditures and adjust budgets to reflect the Association's position as data is collected. An optical scanner is used to process owner payments to ensure accuracy of input. Monthly assessment payments may also be automatically debited from an owner's bank account. If you are a member in one of the Associations that we have the privilege of serving and require assistance, please contact us at the telephone numbers shown below or submit a request electronically using our web site. All inquiries are responded to promptly. If you are seeking management services, we would be happy to tailor a full service or financial service management program to meet your community's or business entity's unique needs. We invite you to contact our clients, visit our office and meet our qualified team of experts. See for yourself why we have earned the respect and trust of more than 13,000 homeowners!